Our anti-aging cream promotes the biosynthesis, growth, and repair of connective tissue components. It improves the elasticity and firmness of the skin and prevents the appearance of fine lines and wrinkles and other signs of aging. 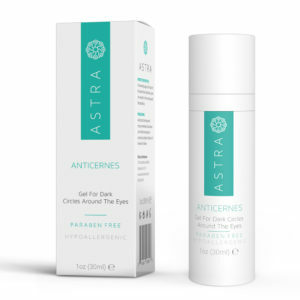 ENHANCES SKIN’S FIRMNESS & ELASTICITY: Astra Cosmetics anti-aging cream promotes the growth of and repairs the skin’s connective cells for firmness and reduced sagging. PREVENTS WRINKLES, AGE SPOTS AND OTHER SIGNS OF AGING: Actively prevents wrinkles, freckles and brown age spots and pigmentation. ALL NATURAL INGREDIENTS: All of our products use only natural ingredients, are paraben-free and hypoallergenic. Astra Cosmetics Anti-Aging Cream for Normal Skin contains Vitamin C and hyaluronic acid. 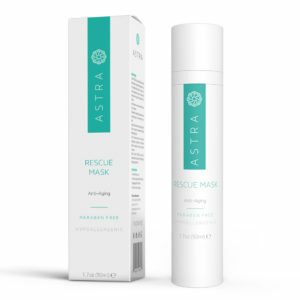 Astra Cosmetics anti-aging cream for Normal Skin uses a proprietary formula to actively and effectively combat the signs of aging including wrinkles, fine lines, age spots, uneven skin tone, sagging and irritation for a fresher, younger-looking complexion. As our anti-aging cream gives you a more youthful appearance, it works behind the scenes to actually prevent further wrinkles, fine lines, saggy skin, uneven skin tone, age spots other signs of aging skin. Smoke, air pollution, sun and weather damage the skin and can change skin tone, break blood vessels, irritate the skin and break down connective cells, making the skin loose and saggy. Our anti-aging formula protects the skin from the environment and the elements for longer-lasting results. Astra Cosmetics anti-aging Cream includes ingredients which attract and retain the skin’s moisture for softer, more supple skin. Avoid contact with eyes and mucous membranes. A mild, tingling sensation may be noted on sensitive skin. Discontinue use if redness, irritation or excessive stinging develops. Store in a cool dry place. Aqua, glycerin, Argania Spinosa Kernel (argan) Oil, 3-o-ethyl ascorbic acid, Palmitoyl Tripeptide-1, Palmitoyl Tetrapeptide-7, cetostearyl alcohol, propylene glycol, xylityl glucoside, anhydroxylitol, xylitol, phenoxyethanol, urea, mineral oil, glyceryl monostearate, dimethicone, cetyl phosphate potassium, hydroxyethyl acrylate/sodium acryloyl dimethyl taurate copolymer, phenoxyethanol, caprylyl glycol, Equisetum arvense (horsetail) extract, Centella asiatica (hydrocotyle) extract, Chamomilla Recutita (Matricaria) Flower extract, Ginkgo biloba (ginkgo) extract, ceteareth-12, ceteareth-20, imidazolidinyl urea, sodium hyaluronate, allantoin, fragrance, BHT. I’ve noticed a difference in my 51 yr old skin, including in my problem area, the deep horizontal lines on my neck. I try a lot of face creams and serums, but this is now my go-to. Does not cause breakouts.